I’m Zhang Ziwei, a student of Class 2017 in Peking University. Now, under the restraint of personal and communication freedom, I’m writing the following words with puzzling. 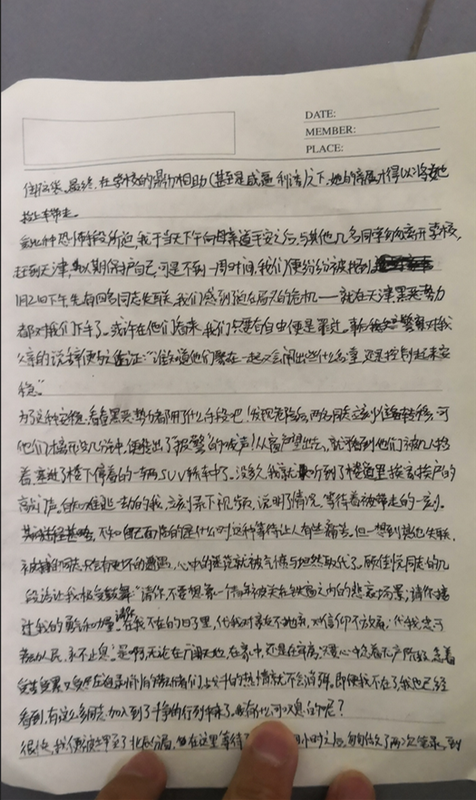 The injustice that I’m undertaking is the result of my participation in the struggle against the PKU administration's forced reorganization of the Marxism Society and the closure of Worker’s Home on December 28th, 2018. But several students and me were dragged into a classroom and detained for 18 hours. Meanwhile, my parents were forced to confront and beat me with tears. I’ve been frequently harassed by the cops since that day. One day, when I was walking out of the toilet in my dormitory, I was forcedly pulled into the housemaster’s office to be questioned by some police officers. Several days later, when I was taking my final exam of this term, a cop stood beside and monitored me. After the exam, I was pushed into another classroom to "have a talk" with the cops. They hypocritically advised me that I should "take care of my learning chance" and "concentrate on the exams" as if it were not them that wandering around me when I was taking my exams! And I have to "greet" them after whole days of studying and testing. 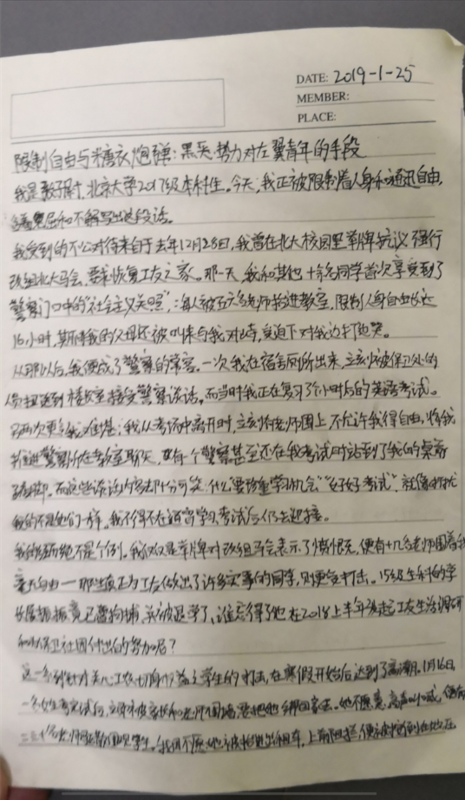 Zhan Zhenzhen, a senior of the School of Life Science, Peking University has been apparently arrested and expelled from the school. Who can forget his efforts during the last year in launching a research project on the lives of his fellow workers and defending the university's Marxist Society? The crackdown reached a climax after the start of winter break. On January 16, a girl was immediately mobbed by parents and teachers who tried to kidnap her and take her home. She did not want to, shouting, but there are 20 or 30 teachers to disperse the crowd of students. I didn't want her to get into a cab and get in the way, but I was on the ground, head down. In the end, with the "assistance"(or coercion) from the school, her relatives were managed to carry her into the car. I left school with a few other students in a hurry to Tianjin to protect ourselves, but within a week, we were found. 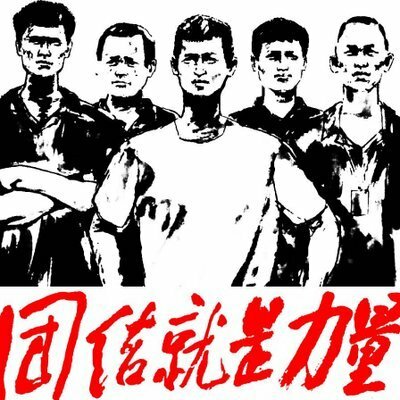 In the afternoon of January 21st, four of my comrades went missing, and we felt an imminent crisis -- even in Tianjin, they were still all over us. After discovering the danger, two comrades immediately prepare to evacuate, but only a few minutes after their left, their crying broke: "Help, help!" Looking out the window, they could be seen being carried by several men and bundled into an SUV parked downstairs. It wasn't long before the sound of knocks - door by door - echoed in the hallway. Knowing that I was certain to be arrested, I immediately recorded a video, explained the situation, and then waited to be taken away. Soon after I was taken to the Beichen Police station. After waiting for nearly four hours, I hurriedly made two transcripts and went to the case-handling area. Then I was handed over to the interior security police(=political police) of my hometown, and detained in a hotel next to the police station. 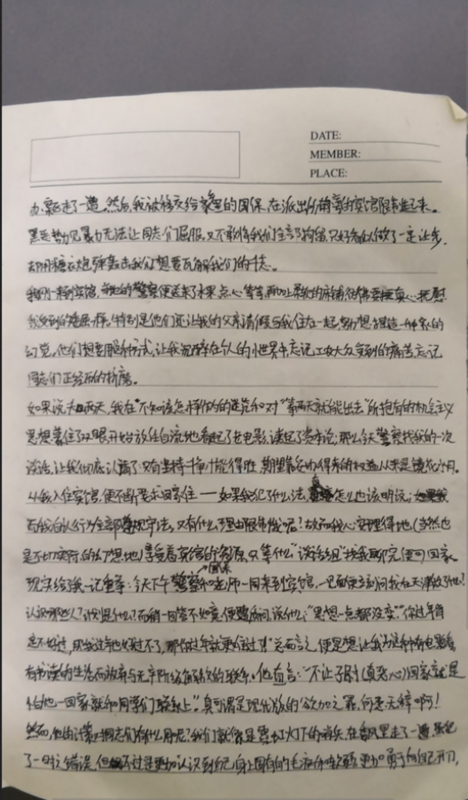 In the afternoon of January 25, when a teacher and the political police came to the hotel, they interrogated me what I had done in Tianjin, the people I contacted, and what the plan I had. When I didn't obey their arrangement, I was rebuked: "You have never changed your ideas", "You will have a terrible Spring Festival, therefore so do I, and then yours will be worse". 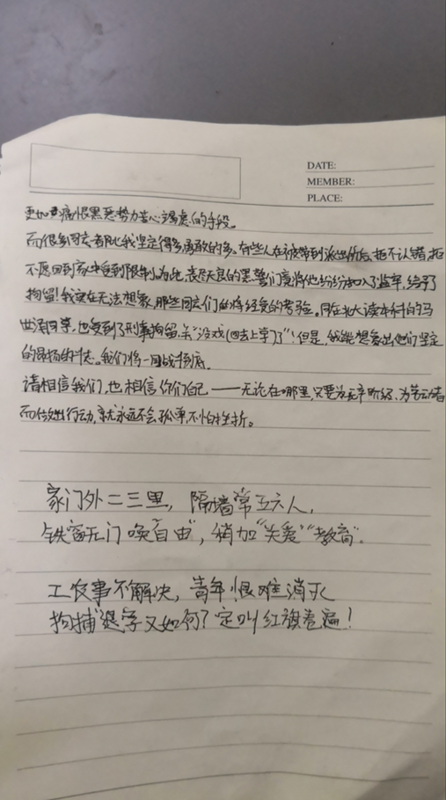 After the interrogation, the police said to my father, "Who knows what will happen if they get together again, so it's better to 'contain' them, for safety." Some students refused to admit their "faults" after being taken to the police station and refused to go back home for soft custody. The evil police authority than simply put them into prison and gave them detention! I really can't imagine the trials that those people will endure. Ma Shize, also an undergraduate at Peking University, was detained in criminal detention, and got "busted"(from continuing his career)! But we believe that no matter in the vast world, at home, or in a prison cell, as long as our minds are with the proletariat and the laborers, who are now suffering and under oppressive exploitation, our morale for fighting will not vanish away. Even if we are gone, we have already seen that so many comrades joined the ranks of our struggle. So why do I sigh?